Every November I dedicate myself to honoring the military dead. I do rituals and offerings on an almost nightly basis and I try to post something every day throughout the month here on my blog in some way, shape, or form related to the military dead. I chose November for this for two reasons: it’s a very Odinic month, specifically Odin as God of the Hunt, and Lord of Hosts** and in the US Veterans Day falls the second week of the month. For those and many other reasons, this month has always resonated with me very strongly as a time to remember our military veterans and our military dead. I’m going to start this month of remembrance off by honoring my own father, John P. Dabravalskas (1917-2005), a veteran of WWII, Korea, and career military until his retirement. Firstly, today is the anniversary of his birth. Happy birthday, dad. I don’t remember us ever making a big deal about his birthday when I was a child and I think that’s a shame. He worked hard all his life to provide for his family, really worked like a dog when I was small. It would have been nice to see him celebrated with a bit of levity. A little bit about my father: his parents emigrated from Lithuania in the early 20th century and he was born a couple of years thereafter in Albany, NY. He joined the army in 1942, specializing in ordinance. He served in two wars, WWII and Korea, neither of which he ever spoke about either with me or with my brother. After his war years, he worked in ordinance at Aberdeen Proving Ground in Maryland until retirement. Thank the Gods he was too old for active duty by the time Vietnam came around. He would have willingly gone, seeing it as his duty to fight for his country. His work in ordinance rendered him deaf as he got older, something that perpetually frustrated him. Before he died, he had dementia and flashbacks to his battlefield experiences, and I’ll just let that stand with the comment that there are some experiences that scar the psyche so deeply that one never, ever escapes them. I don’t recall any of that coming out when I was growing up, but as he approached his death and the filters and controls on his mind were slowly peeled away, every once in awhile it would burble up giving a glimpse of the terror he must have felt as a young man in the midst of a gruesome war. He and I always had a vexed relationship. We were both stubborn and probably too damned much alike to get along. He also was a child of his generation and I think it was hard for him to have a daughter who didn’t easily conform to expected gender roles. We used to fight like cats and dogs. He taught me to play chess, encouraged my interest in languages, sometimes mitigated the discord with my biological mother, and worked hard to make sure that his children had a chance at good educations. He also gave me a fierce work ethic and deep pride in my ancestry. I changed my last name when I was eighteen (legally) mostly for professional reasons, as I was a professional ballet dancer at the time, and I think that hurt him deeply. His nearly dying words to me expressed concern that I was safe and secure and doing well in my life. He wanted to be sure I was happy. It took awhile after he died before I could properly honor him on my ancestor shrine and as part of my ancestral court. We had things to work out. It helped that I assisted in prepping his body for cremation (and perhaps his dying gift to me was a sudden, stark awareness of the miasma contact with the dead can bring) and was able to do rituals to aid his passage. (To this day I’m not sure why the funeral home allowed me in there). Certainly there is a grace in handling the dead. 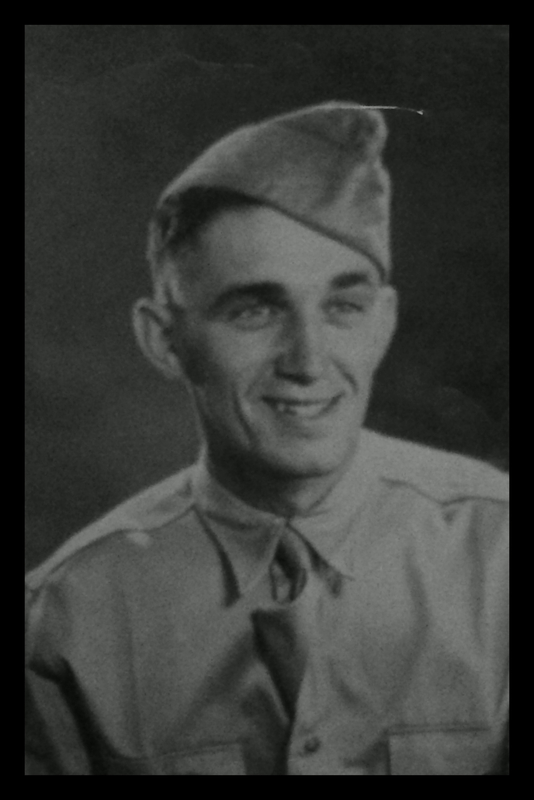 So today I honor John Paul Dabravalskas, a good man, a steady father, a veteran, and part of the “best” generation, those men and women who in the forties went to war against Hitler. May my father be hailed. May he be remembered; and may he find joy and homecoming with his ancestors always.